For us women, to have a clear and glowing skin is the dream. Some of us are naturally gifted with gorgeous clear skin, while the others strive real hard to get a flawless and radiant skin. The million dollar question is “What do we to try and acquire that smooth, clear, and glowing skin?” And in the process we don’t hesitate to try everything under the vast expanse of the sky starting from expensive creams to face packs to parlor treatments. We try all the options possible but unfortunately most of the results are not quite satisfactory or sometimes ends up a waste of time and money. As a result, after a point we get weary of having hopes and getting excited about such stuff and end up overlooking every beautifying tips, treatments and methods. For you peeps, I say do not lose heart. There is a healthy, easy and yummy way to get our skin to glow. Did you know that we can get much better results without so many hassles, just by taking the help of some of the most skin-friendly vegetables and fruits? Ideally, a proper balanced diet and lots of fluid intake result in being the key to a healthy body and amazing skin. A good balanced diet includes food that contains the right amount of each of the nutrients and vitamins along with minerals. The recent and most popular trend is to drink healthy juices which is claimed to give your skin a natural sheen and glow. This method does have a great effect. 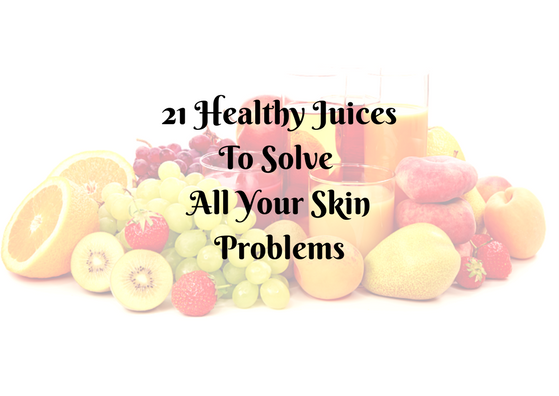 These fruit juices are fully packed with vitamins, enzymes, and other essential nutrients that are essential to keep the skin soft supple and glowing. The secret to glowing skin is the right healthy juice. 1. 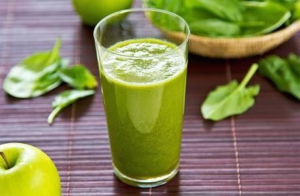 Organ cleansing: Raw juice therapy helps in eliminating and cleansing the organs. They promote effective detoxification of the organs like the liver, kidneys, lungs and also the skin. It helps to quickly flush off accumulated metabolic wastes and toxins, and gives such a relief to the digestive and assimilative organs. Raw juice therapy increases the digestion of food and helps in effective breaking down of the nutrients which facilitates better absorption. Drinking raw juices of fruits and vegetables as a special diet helps in recovering faster from diseases. They are also more effective than just drinking pure water to cleanse and regenerate the tissues. Drinking fruit and vegetable juice regularly helps to burn up and excrete large amounts of accumulated wastes. This process of cleansing can be very much improved by consuming alkaline juices and complementing it along with water intake.This increases the natural healing effect in the body and accelerates the process of eliminating uric acid and other inorganic acids. The nutrients vitamins and minerals that we acquire from all the juices paves a stronger path for a better heart. They immensely help in strengthening the heart and also to avoid or cure many cardiovascular-related diseases. 5. Rejuvenation effect: The juice extracted from the list of fruits and vegetables stated above for this therapy have excellent medicinal properties. And that leads to achieving a state of health that is born from the revitalization and rejuvenation of the body organs, glands and functions. Juices extracted from fruits, plants and vegetables are very good sources of minerals, trace elements, vitamins, antioxidants enzymes and natural sugars. They aid in normalizing all the body functions and supply elements for healing and cell regeneration. Thus, juice therapy helps immensely in boosting the process of recovery. Drinking fruit and vegetable Juice regularly provides organic minerals that are easy to assimilate. These minerals are calcium, potassium and silicon, which balance the biochemical elements present in the tissues and cells of our body. Thus, it helps to prevent premature aging of your skin and gives the skin an enough amount of elasticity that is required to preserve the youthfulness. Drinking fruit and vegetable juices regularly has proven to be a natural medicine and antibiotic to cure many diseases and disorders. Some fruits and vegetables have antibiotic qualities which is required by the pancreas to manufacture insulin such that of the juices of cucumber, tomatoes etc. They have antibiotic substances which also prevent and cure diseases related to diabetes. This method is especially advised for patients with arthritis, diabetes, hypoglycaemia and high blood pressure. Fresh fruit and vegetable juices help fight against many diseases and also help speed up the process of the healing of infections. Drinking fruit and vegetable juices regularly can also soothe the stomach and can also be useful in curing stomach ulcers. If you are confused with the wide variety of juices available and want to know the exact ones that you should drink for glowing skin, then read and follow the below given tips for deciding the best juices for glowing skin. An apple a day not only keeps the doctor away but also helps you get a flawless glowing skin. Apple juice consists of antioxidants that prevent the skin from premature aging and wrinkles. It also promotes prevention of damage caused to the tissues which in return gives you a glowing skin. Now It’s safe to say that ‘an apple a day keeps the cosmetician away’ This is definitely one of the best juices for glowing skin. Papayas also consists of antioxidants like apples which make your skin healthy both internally and externally. They also contain the enzyme called papain which helps in curing skin impurities. So, drinking papaya juice will not just give you glowing skin, but it will also keep your skin healthy and promote skin whitening. Lemons are generally known for being rich in vitamin C, hence, lemon juice acts as a good cleanser for your skin. They are very much helpful in balancing the pH level of your skin which helps in giving you a nice glowing skin. For additional benefits, you can use honey instead of sugar and this will help you in getting a flawless skin. You would have seen many beauty tips suggesting you to use orange peel for glowing skin. Not only their peel, their juice by itself is a huge contributor to a better skin texture adding a nice glow to it. Nevertheless, it is one of the tastiest tangy juices. Drinking orange juice aides in fighting numerous skin damages. It also helps in giving you a clear and even complexion. Get orange juice here. Kiwi juice is highly enriched in vitamin E, which immensely helps in improving the growth of lustrous hair. An adequate consumption of vitamin E induces faster hair growth. Since kiwi is known to enhance the immunity system of our body, our strong immunity system minimizes the hair fall. Kiwi also acts as a cleansing agent which helps in cleaning the colon which stimulates better hair growth. The vitamin C in strawberries helps in increasing the protein content in our body, which in turn stimulates the growth of hair since hair is composed of proteins. A good addition of strawberry juice included in the daily diet imparts lusture and strength to the hair. Cucumber is really rich in silica, which is well known to improve the complexion. It also a well known fact that cucumber has high water content which keeps your skin hydrated and nourished and supple which gives you glowing skin. Another interesting use of cucumber is that it is very good for treating dermatitis and eczema. Also, read Homemade cucumber face packs for glowing skin. One of the most common juices that promotes healthy skin which is prepared in almost every household is tomato juice. Tomato is considered both a fruit and vegetable, it’s a debate that’s been going around for generations and I’m gonna stay on the safer side and say it can be what you want it to be. Anyways, applying tomato paste on skin helps in removing blackheads, acne, and gives you a natural glow. But it’s even more beneficial if you drink it as a juice daily. It contains lycopene, which is an antioxidant which is very effective in working as a sunscreen from inside. It also immensely helps in improving your skin complexion. It reduces aging and wrinkles, and also gives a cooling sensation to the body. It is most effective in giving a radiant glow to your skin. Lycopene is also quite known for possessing anti-cancerous properties. It is a well known fact that tomato is rich in Vitamin C which is a boon for your skin. It is great for promoting a healthy body as well as it has zero cholesterol and contains potassium. The most renown and one of the best vegetable juices for glowing skin, is carrot juice. Carrots are very rich in Vitamin A, which is known to prevent acne, blemishes, wrinkles and other skin problems. Carrot juice also helps in making your skin tone even and reduces the dark pigmentations. It provides long-term benefits for the skin and effectively slows down the aging of skin, making it appear much younger and radiant. It is also rich in fiber which enables smooth bowel movement. We all know celery only as an ingredient used in salads. Celery juice works wonders in rehydrating the skin and the body as it is rich in sodium. If your skin is hydrated properly, it will automatically impart a natural glow. This juice not only is amazing for the skin, but is also very effective for weight loss, if you’re trying to lose weight. Aloe Vera is an amazing gift of nature that has wonderful healing, beauty ring and weight reducing properties.It is rich in vitamins and minerals which help in maintaining the natural glow of your skin. It also efficiently combats the effects of premature aging and wrinkles. If you suffer from sun burns often, then aloe vera gel will be you best go to remedy which will help you in getting a good relief. Drinking aloe Vera juice also promotes weight loss and is very good for diabetic patients. Get pure aloe juice here. Beetroot generally is known for its iron content. Consuming beetroot helps you with increasing the hemoglobin level. It is also very helpful in giving you a flawless skin as it consists of the goodness of vitamin A, C, and K. It is also quite rich in iron, copper and potassium which reduce blemishes and marks. Drinking this juice every day helps in prevention and cure of inflammations, and helps with and improves the blood flow which eventually gives you glowing skin. You might want to read, Surprising Health and Beauty Benefits of Beetroot. Just the word ‘baby corn’ hits us first with the idea of either soups or nibbling the hot steamed corn cobs that is sold in every corner of the street. Making a juice out of it will be a very novel idea except for the few of us who are used to it. Baby corn juice works wonder in giving a radiant glowing skin. This is a very healthy option for those who prefer fluid diets owing to the high calorific value it holds. Baby corn provides roughage and adds bulk to our food which in simpler terms means it’s quite filling and yummy :p It is also known to be considered very useful for digestion. It contains vitamins A and C, which makes it a potential vegetable juice for glowing skin. Green peas is a yummy treat when found in pulaos and when combined with paneer, aloo and stuff. This cute little vegetable is extensively used in many dishes that we make. What we don’t know about it is that green peas are a rich source of vitamins B6 and K. The presence of folic acid in it makes it a staple food for our body and the juice extracted out of them is very nutritious owing to to its antioxidant and anti-inflammatory properties. It is again one of the rare ingredients that we associate with properties that are good for the skin. It is really helpful and effective in making the skin radiant and glowing. Spinach is not as such a vegetable, but is considered to generally come under the category and is stacked in the vegetable section in the markets although it has its own category :p Spinach is always associated with its qualities of having amazing health benefits being rich in iron, promoting great health, hair growth and stuff. People say eat spinach regularly to stay healthy, but no one says eat them to get great skin(maybe if they did, we’d be more dedicated towards it god knows😉) It is highly enriched with vitamin K, which is an excellent stuff for bone health. Also, as stated earlier, the Iron which is present in abundance in spinach makes it an ideal food for the skin as well. Iron is most essential for the production of red blood cells in our body. Vitamins like C and E along with the mineral manganese act as great antioxidants for the skin. They keep the free radicals far far away from the body.These free radicals are reason that is largely responsible for us ending up with lifeless and dull looking skin. With that eliminated, and the added benefits of the nutrients, we have a free pass to a healthy glowing skin. Broccoli is one of the vegetables that is most extensively used only by people who are either health conscious or diet conscious. It is quite well known for its contribution to the weight loss community. What is new to us is that, it’s a great contributor to the beauty factory too. It is quite known to posses the highest amounts of nutrients amounts all its vegetable friends. This fibrous vegetable is quite rich in vitamin C. Vitamin C is a great promoter of healthy skin conditions. Making a juice out of broccoli might seem weird but when done and consumed, it gives great results. The skin naturally glows. You can add your favorite condiments and spices to make the juice a little flavorful. It is extremely beneficial to the body and skin. Amla juice has been considered to be a good hair tonic for ages now. Women generally use a mix of amla and shikakai to get rid of many hair problems like premature graying, hair fall, and dandruff and also to get healthy dense hair. But consuming amla juice is much better. Amla juice strengthens your hair follicles, which highly stimulates hair growth. You can make a mixture of amla and lemon juice, add two teaspoons of honey and drink the juice. This will promote hair growth and strengthen your hair from the roots and also gives it a great lustre. Get pure amla juice here. This is a smoothie that is rich in Vitamin A. It is the perfect elixir for naturally glowing radiant skin. One of the best methods to get perfect skin is to include mangoes in the diet. They are rich in antioxidants that reduce pigmentation and age spots which are the prominent signs of skin aging. In addition to that, the Vitamin A present in mangoes acts as a natural bleaching agent that aids in effectively removing skin tan and also helps in providing a bright and glowing complexion. Cucumber is one of the best remedies which helps in reducing freckles and improving complexion. Finally, spinach. Spinach detoxifies the system and purifies blood, resulting in the reduction of the breakout of pimples and acne. Peel chop and mash the flesh of a nicely ripe mango. Peel the cucumber and chop them, add the spinach and add all the the fruits and vegeatbles in the food processor. Blend it for a few minutes, pour in a tall glass and enjoy this delicious healthy smoothie. This amazing green smoothie helps in improving the skin complexion from within and keeps the skin baby soft, radiant and supple. A flawless skin diet must ideally include lettuce because just 4-6 leaves of this amazing vegetable provides more than a hundred percent of the daily value of vitamin A that is extremely essential for skin cell regeneration. In addition to that, the potassium present in lettuce improves the circulation of oxygen in the skin and supplies the essential nutrients to the cells. Mint acts as an wonderful skin cleanser that reduces the breakout of pimples and acne to a great extent. This delicious smoothie not just works wonder for the skin but also works as an amazing summer chiller. Peel and chop the cucumber into cubes, add the lettuce, green apple and mint leaves, add all the ingredients in the food processer along with half a cup of water, blend well and add two table spoons of honey to it if required, pour in a tall serving glass and enjoy with a few ice cubes(ice cubes if required). Beetroot Juice is one of the best natural remedies to treat wrinkles and skin aging. Beetroot being rich in folate, carotenoids and vitamin A, immensely helps in improving the overall health of skin and increases blood flow throughout the skin. The Lycopene present in beetroot juice helps to maintain skin elasticity which prevents the skin from sagging. 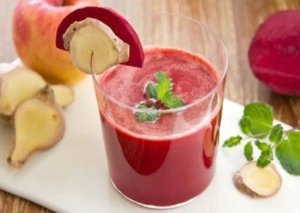 The combination of beets with nutritious apples and hydrating cucumber makes this amazing natural smoothie which is one of the best elixirs to achieve flawless, glowing, supple skin. Wash, peel and chop the beet roots and ginger, chop all the other ingredients and put them in the food processor, add half a cup of water to it and mix well until it forms a smooth paste. Enjoy this yummy juice with a sprinkle of chia seed powder. And finally, there is this mix of vegetables and fruits made into a juice which is know to have amazing health and skin benefits. It’s known as the miracle juice for healthy glowing skin. Chop em up and juice em all! Add water if you think the juice has to be diluted or even drink it as a thick smoothie. Also, add healthy sweetener of choice if needed. I prefer the juice just as it is, without any sweetener, as I find it sweet enough for me. Drink your way to a glowing skin, Enjoy! Also, Here’s another great post to read.